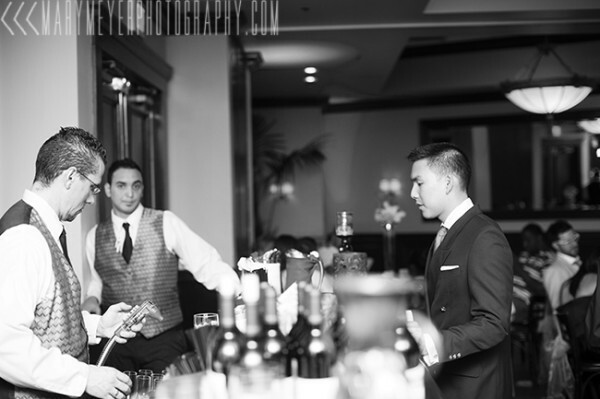 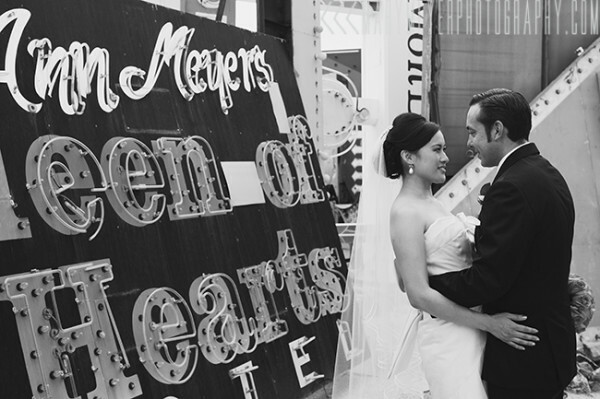 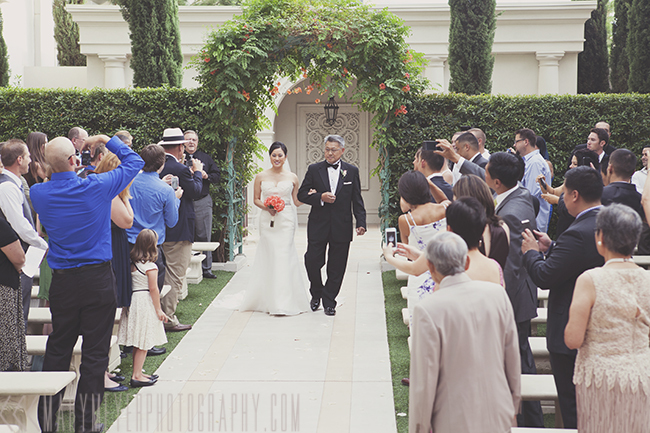 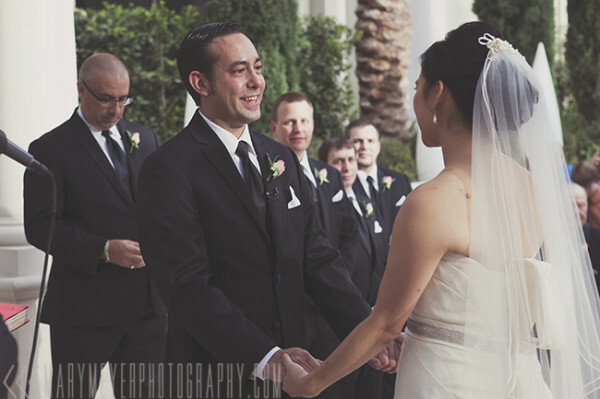 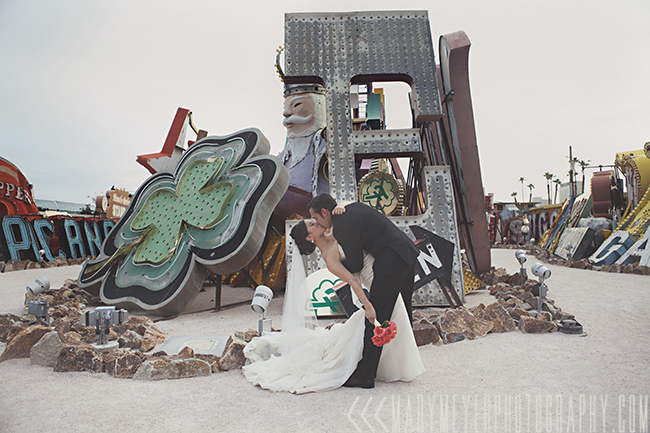 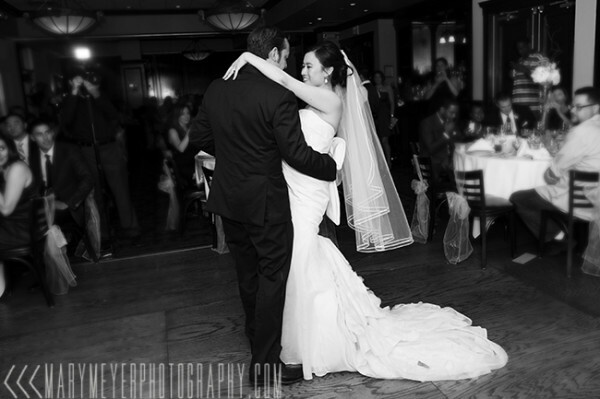 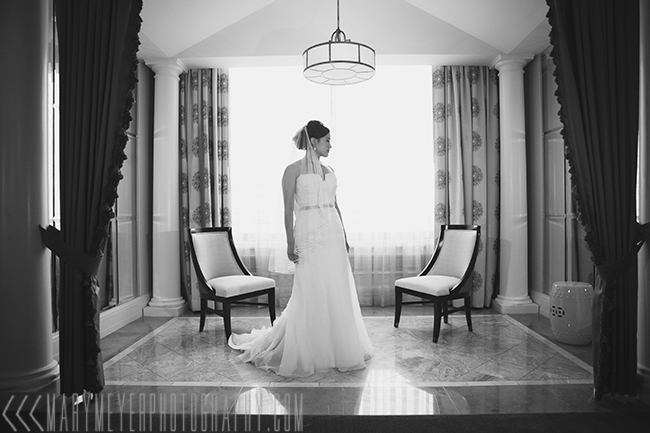 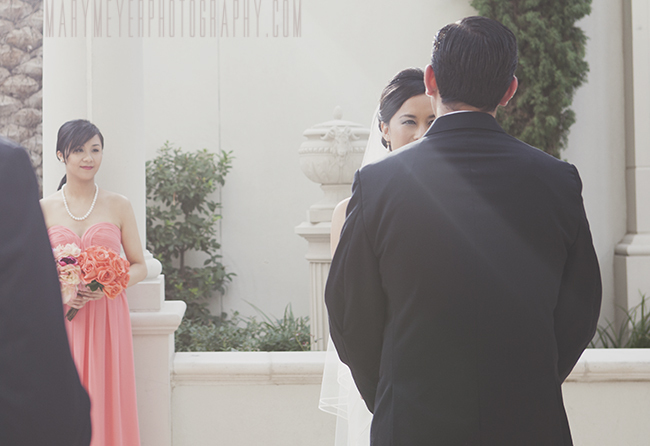 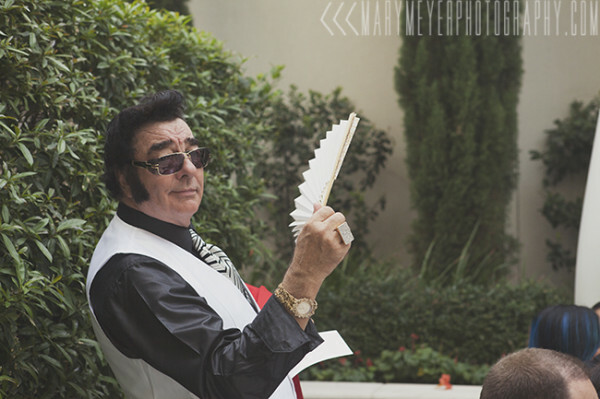 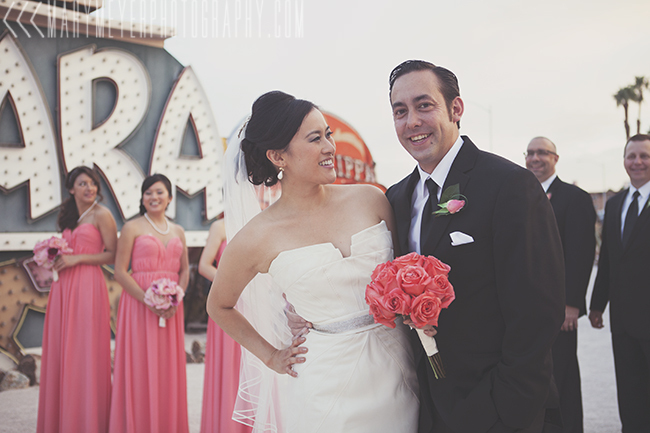 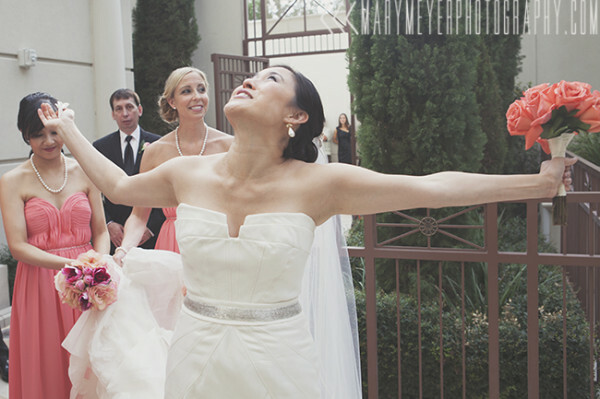 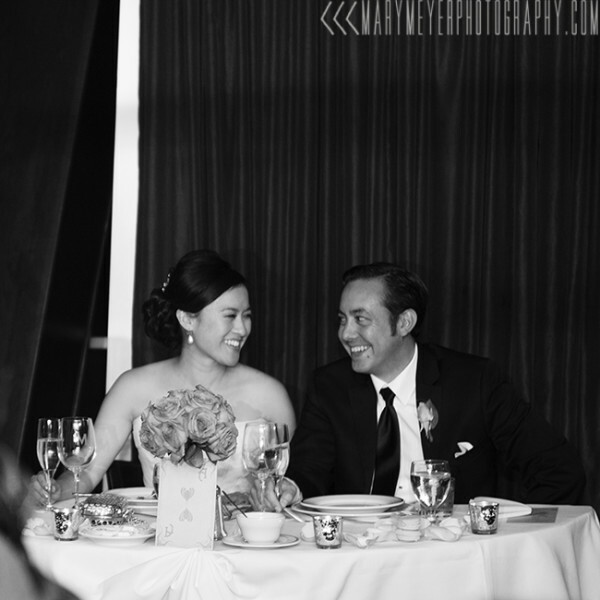 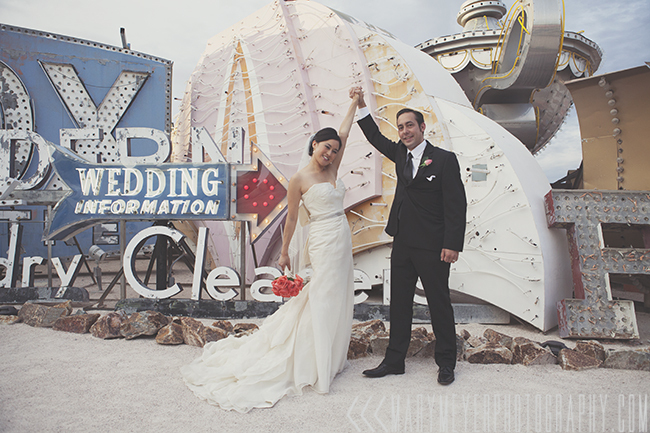 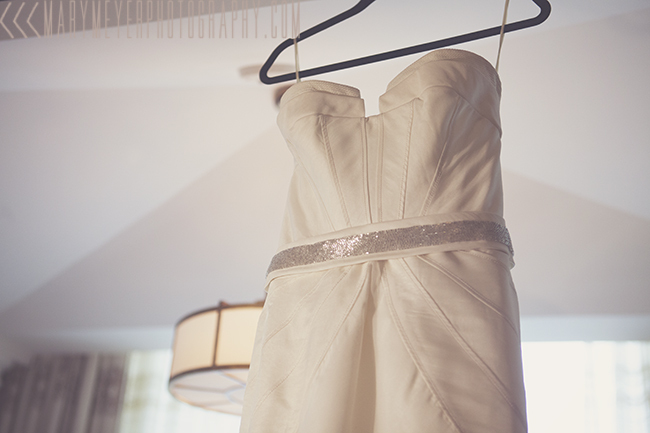 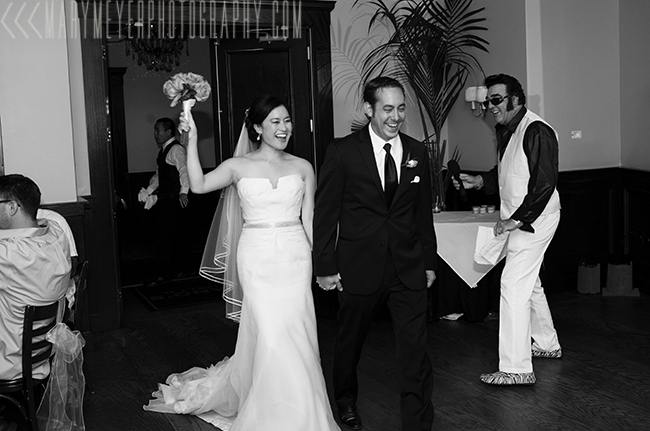 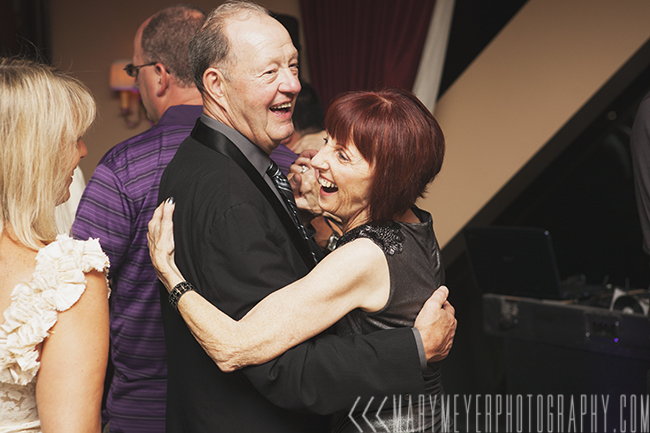 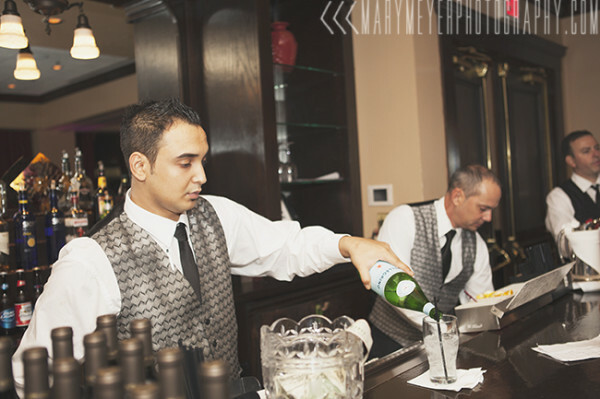 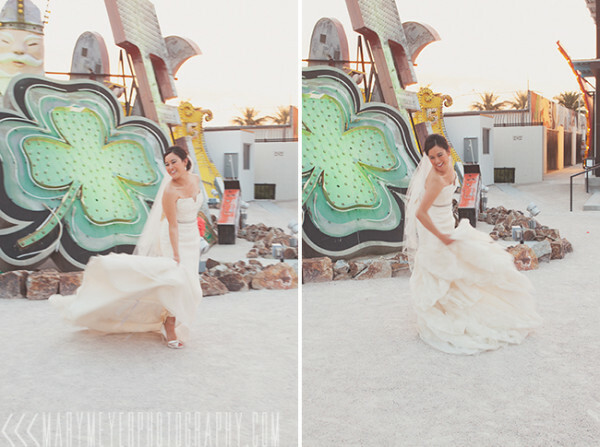 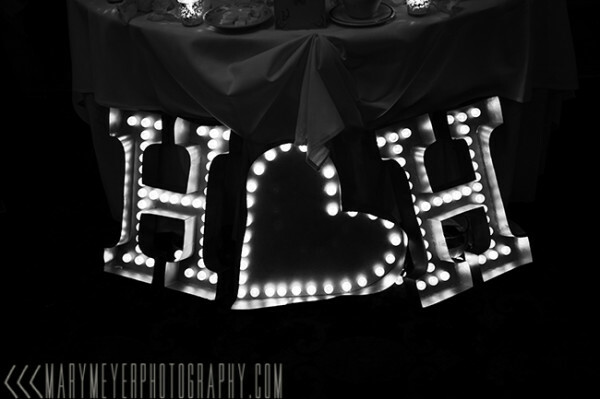 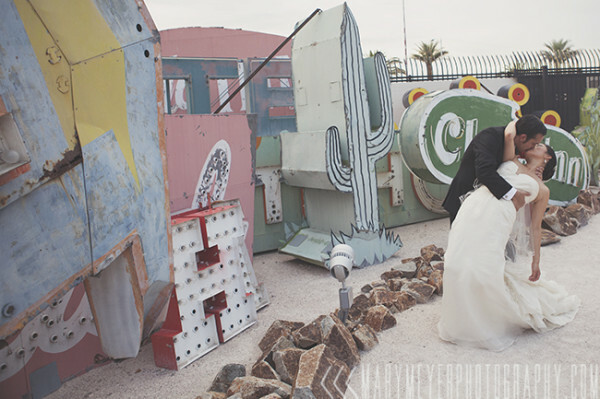 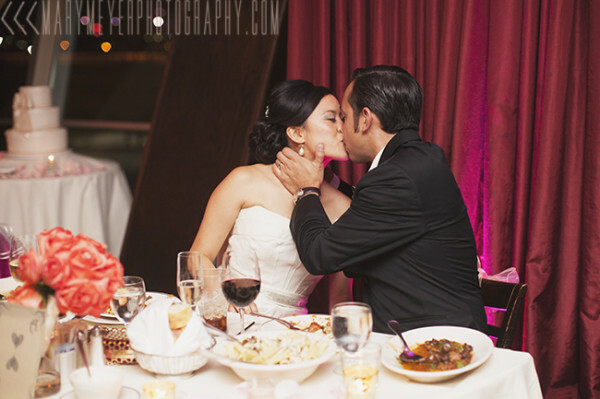 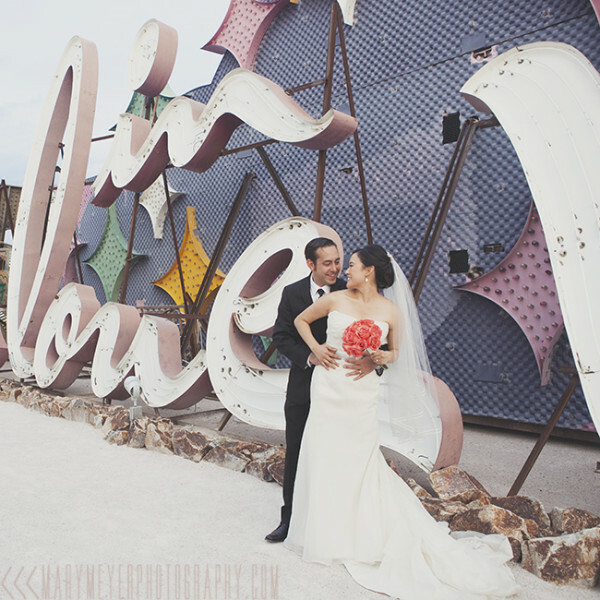 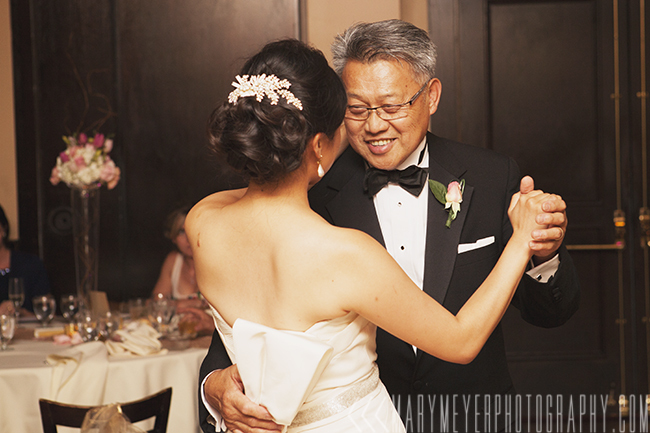 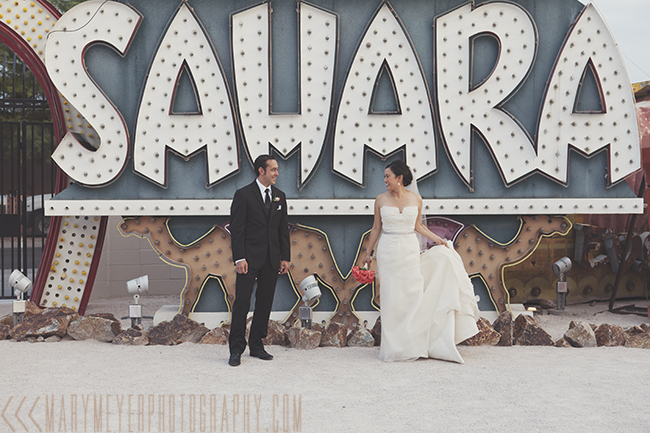 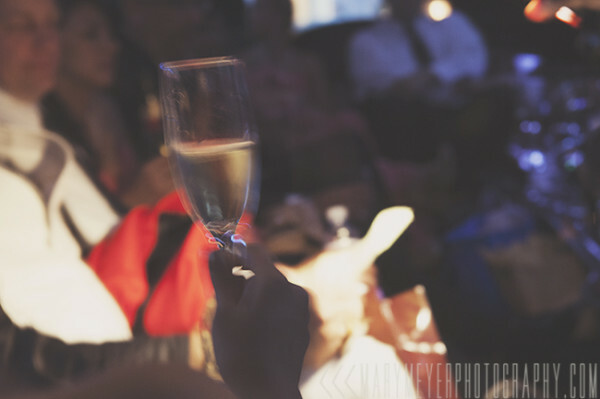 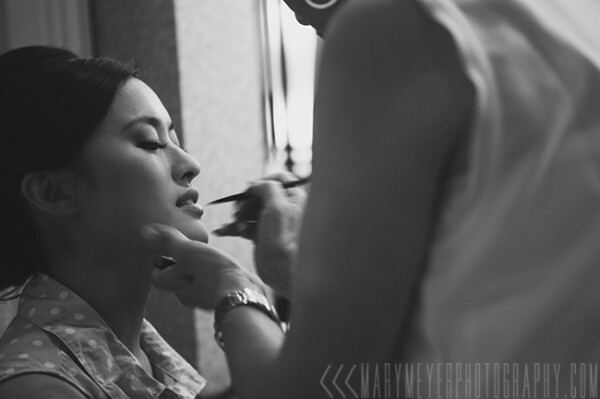 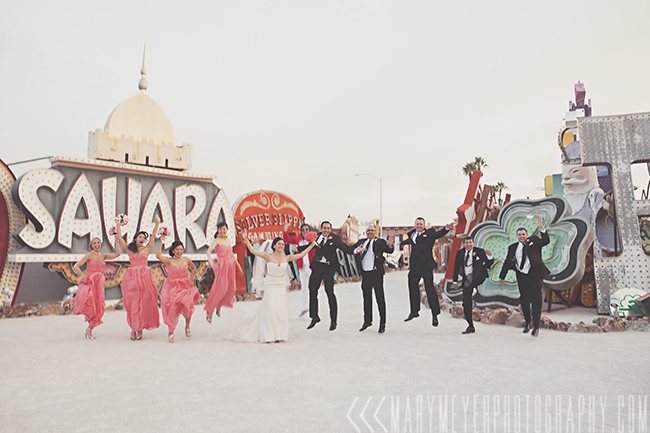 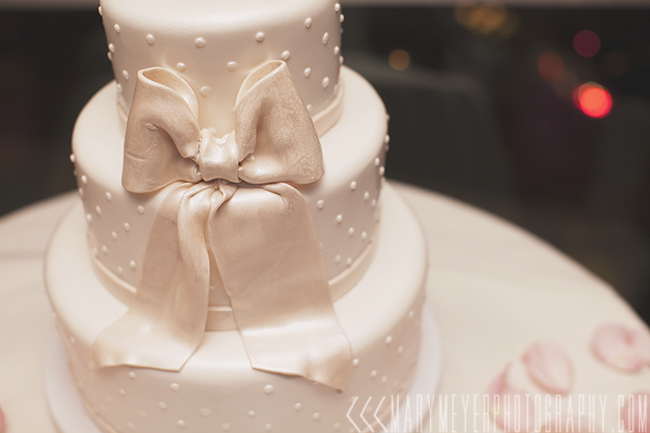 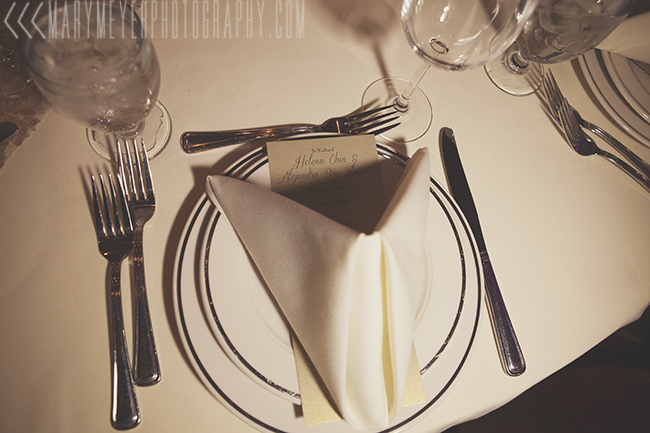 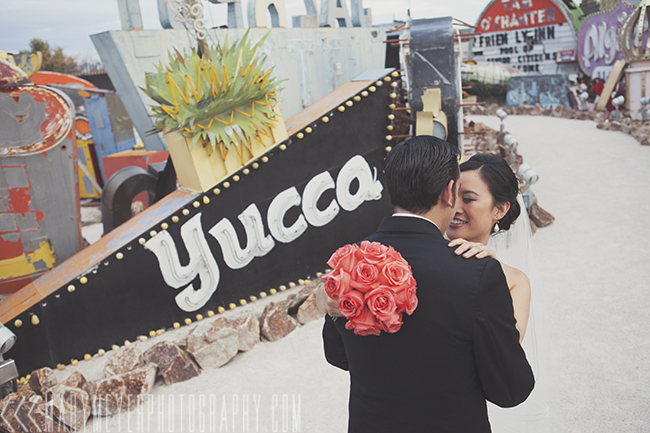 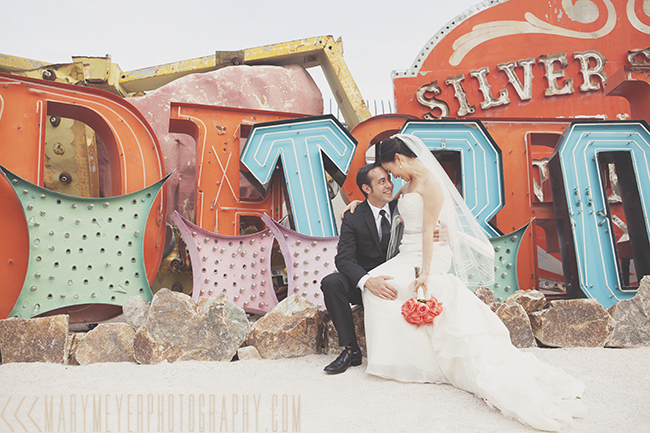 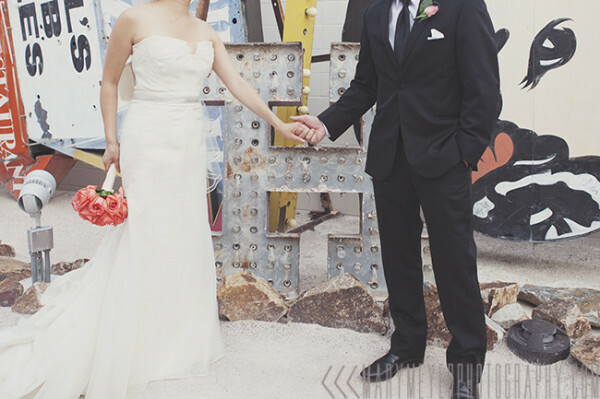 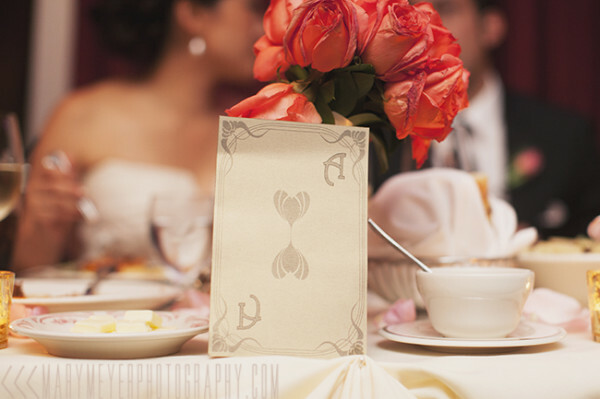 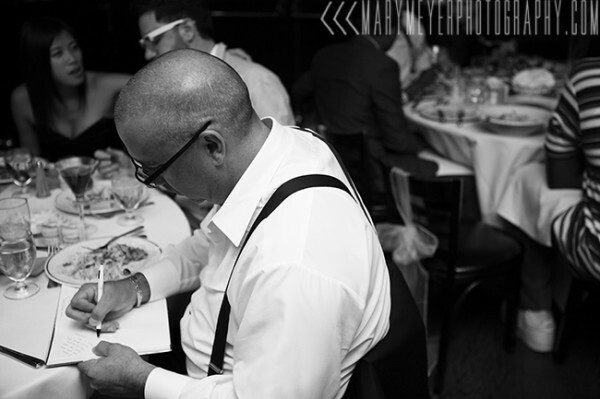 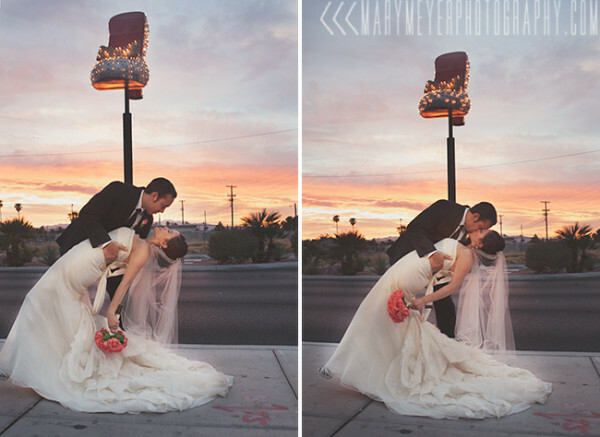 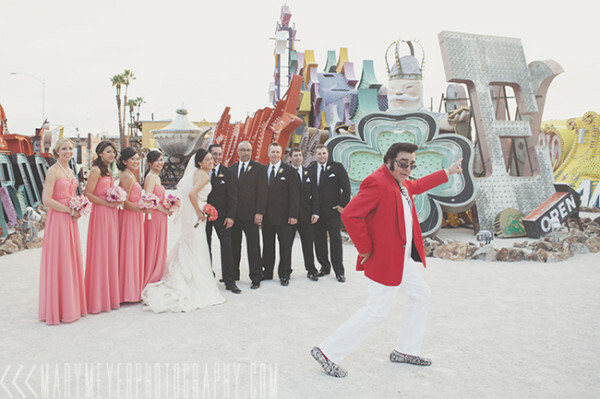 Helena and Hondo are a couple who came from New Jersey to do their wedding Vegas style! 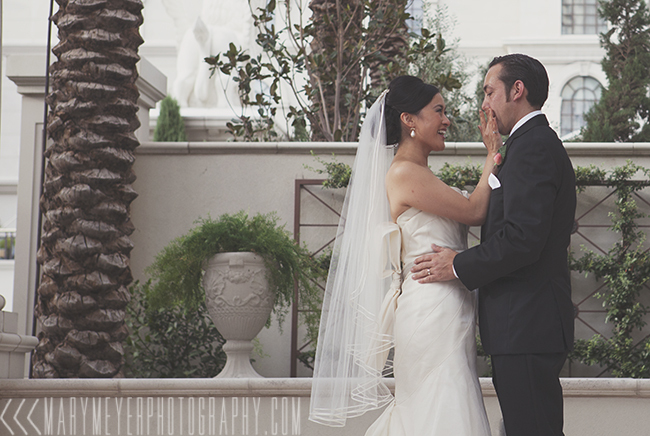 This destination wedding took place in the serene Juno Garden at Caesar’s Palace, with photography by the always fabulous Mary Meyer. 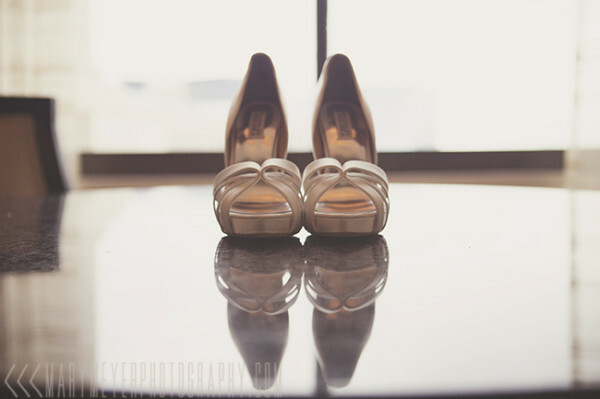 Helena works in the shoe industry, so you know she had to have some gorgeous footwear for her wedding, and her Badgley Mischka heels did not disappoint and were a nice complement to the Art Deco styling of her Vera Wang gown (with similar tailoring seen in her bridesmaids dresses.) While getting ready the bridal party nibbled on delicate macarons. Surrounded by Roman architecture and fountains, Helena carried a simple bouquet of coral roses up to the altar where she exchanged vows with Hondo. 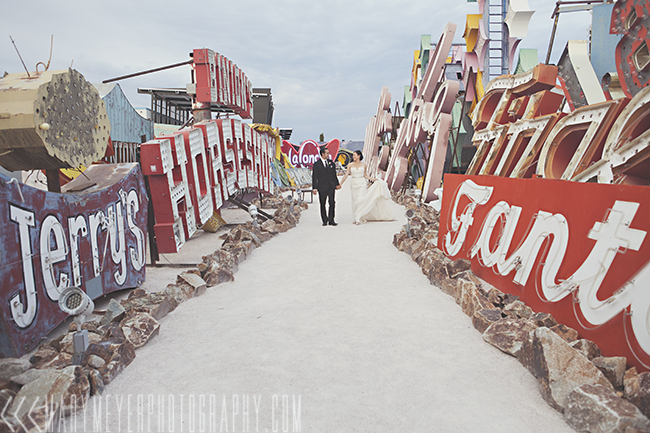 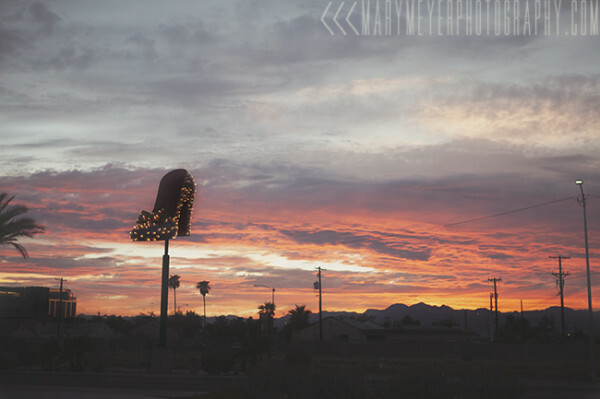 Post ceremony the wedding party headed to the Neon Museum to get some portraits done as the sunset, and then the party day concluded with a reception at Maggiano’s. 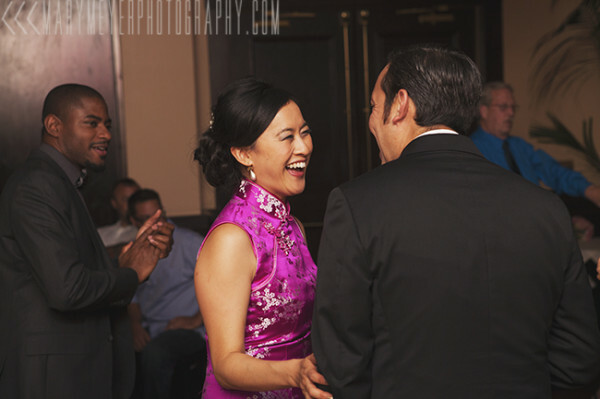 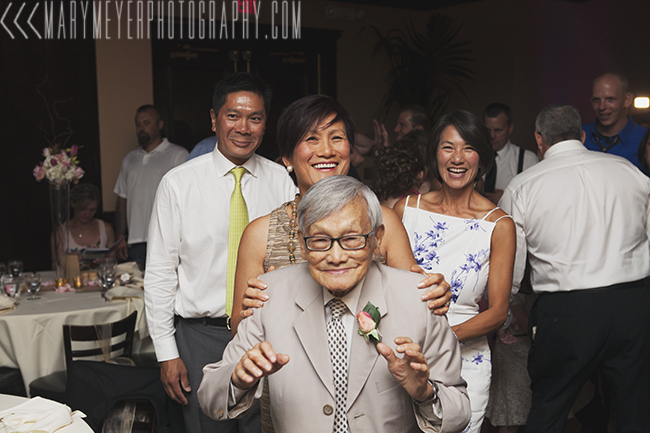 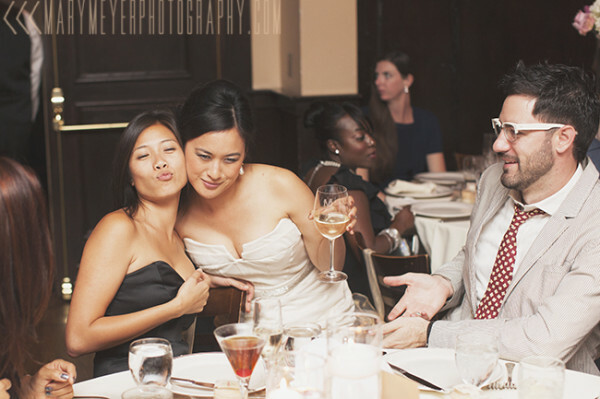 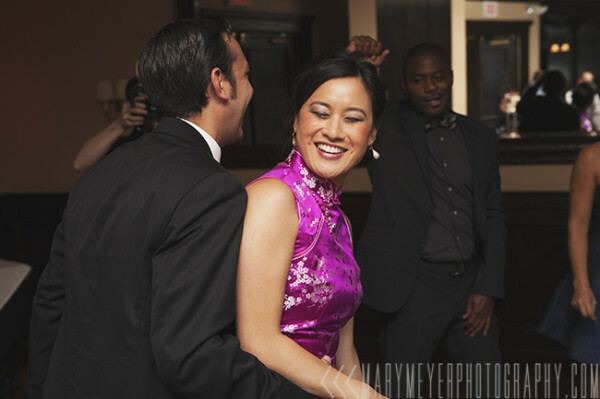 Helena changed into a beautiful fuschia qipao gown and got down with the wedding guests, including her 90 year old grandfather! 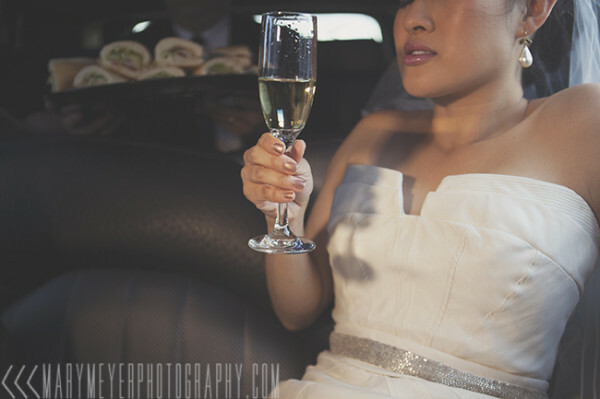 Be sure to scroll all the way through the fabulous photos below to the video highlight reel from Lightsource Films, too!